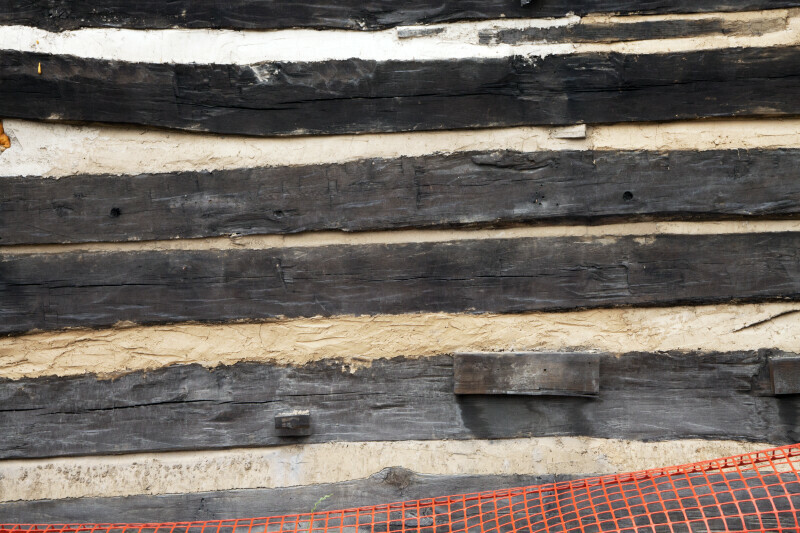 This image shows horizontal timbers, with putty between the timbers. The timbers are representative of the original building, but the putty is a recent addition. Economy was the third settlement started by the Harmonist Society, and is now listed on the National Register of Historic Properties. The site is located in Ambridge, Pennsylvania. For more information about the Harmonist Society’s settlement at “Oekonomie,” visit the Old Economy Village website.